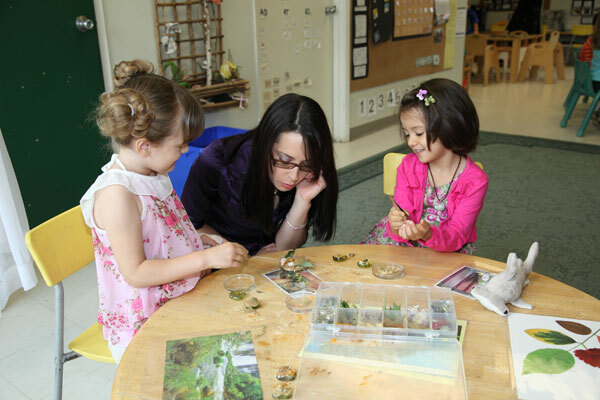 Forest Grove continues to surpass the benchmark of greatness within the childcare field, while remaining traditionally devoted to the importance of academics. However, it is our non-traditional approach that continues to produce outstanding results time and time again. 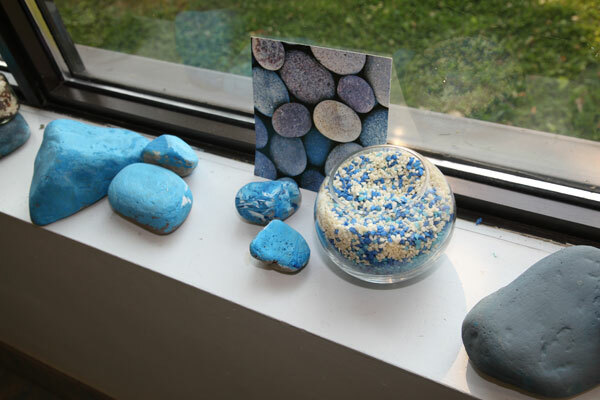 At Forest Grove, we go beyond the books, turning interest into education through hands-on projects, allowing children to learn through the use of all five senses, and then recognizing the many ways in which they ask their questions, express their ideas, and draw their own conclusions. Imagine a classroom where the students collaborate with their educators on what they wish to learn about; where teachers truly listen to children's needs, and value individuals, and turn their excitement into education. 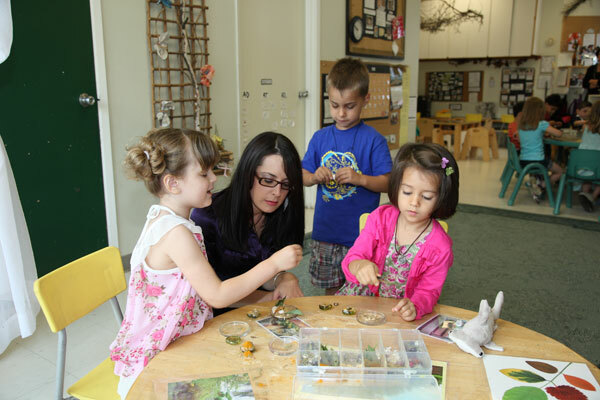 Forest Grove has always believed that the hidden secret to successful learning is to take the time to listen. By documenting the interests of the students, and using that interest as a platform to teach, we are guaranteed to engage our students in the learning process. 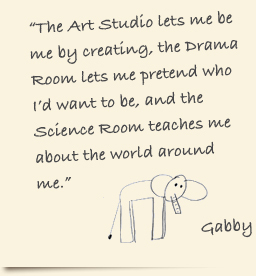 Science, Drama and Art are explored in curriculum-focused Studios that incorporate the students' interests and creativity with academic goals, including math, literacy, and science, just to name a few. 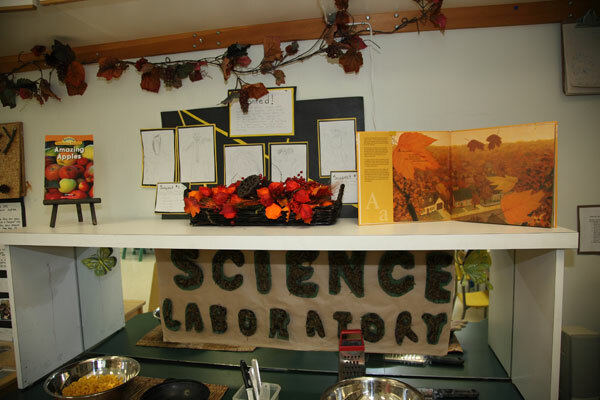 A single interest is then carried out through all academic components in order to make learning appealing. 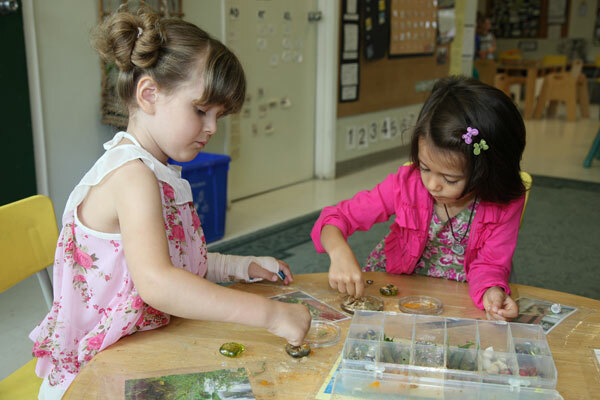 In doing so, the children are responsible to ultimately choose their lesson plans as teachers develop strategies to implement their choices through careful planning and collaborations.